For those with only a basic understand of the tax system who attempt to resolve their tax problems on their own, the Internal Revenue Service can be viewed as something of an unpredictable and opaque entity. Unfortunately a failure to understand the IRS, its goals, its systems and processes, and the U.S. Tax Code can lead taxpayers to taking action that they believe will help, but in reality their actions compound or otherwise exacerbate serious tax problems. If you are an Irvine resident and have failed to file or pay taxes you may escape notice for a time, but in the end most noncompliant individuals are identified by the IRS. Then they must defend against civil or criminal enforcement action launched by the IRS or the Department of Justice (DOJ). Taxpayer did not receive their W2, 1099, or other tax document – For some taxpayers, their documents may be delayed or not received. Some taxpayers may forget to file since they have not received the documents that would otherwise remind them to do so. In other cases a taxpayer may receive a duplicate 1099 or request a 1099 that was not received. In rare instances this can lead to a form mismatch and trigger an audit. Taxpayer did not have the money to pay taxes – The taxpayer may believe that there is no possible way to pay his or her taxes. He or she may, incorrectly, believe that failing to file will help in escaping the IRS’ notice. Civil penalties for a failure to file are typically more severe than those that can be imposed for a failure to pay taxes. Taxpayer did not understand the extent of his or her obligation – This is most typical for expatriates who are living and working outside of the borders of the United States. However even taxpayers living and working in the United States can make mistakes about income tax filing thresholds, filing dates, and other aspects of their return. In short, there are a variety of reasons a taxpayer can fail to file or pay taxes. It is important for your tax professional to fully understand the actions you took regarding your taxes because these actions can influence the strategy utilized to resolve the matter. How is Failing to File Taxes Different From Failing to Pay Taxes? Failure to file taxes simply means that the taxpayer has not filed his or her income taxes or requested an extension of time to file by the tax filing deadline. A failure to file taxes can be punished by a 5% penalty for every month, or part of a month, where the tax return remained unfiled. If a taxpayer files more than 60 days after the due date, a minimum penalty of the lesser of 100% of the tax owed or $135 can be imposed. By contrast, a failure to pay taxes occurs even if the taxpayer has filed the necessary documents with the IRS, but then he or she fails to pay by the original filing deadline. It is important to note that even if a taxpayer files for an extension via IRS From 4868, this form only grants an extension of time to file – it does not extend the time to pay. The taxpayer still must make full payment to avoid owing interest. Furthermore, if the taxpayer does not make a sufficient payment he or she will be subject to a late payment penalty. The failure to pay penalty is assessed at 0.5% of the unpaid tax per month, and rises to 1% per month. It is capped at 25% of the taxpayer’s outstanding tax liability. For reasons relating to the intricacies of the tax code the combined maximum failure to file and failure to pay penalties is capped at 47.5%. The Brager Tax Law Group is dedicated to assisting taxpayers work out their tax problems including those due to unfiled or unpaid taxes with the IRS. 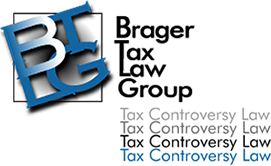 If you have questions about your taxes or are concerned that you failed to file or pay all taxes, contact the Brager Tax Law Group for a confidential tax consultation. To schedule an appointment call 800-380-TAX-LITIGATOR today or contact us.